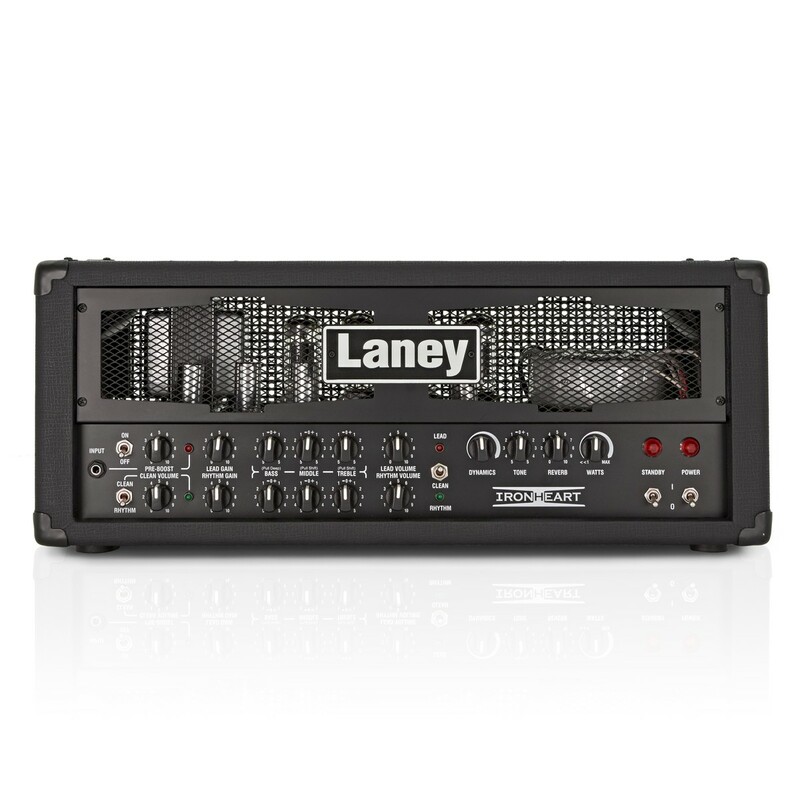 Laney, the quintessential UK amplification brand that helped give birth to Heavy Metal, is proud to present the all-new IRONHEART range of amplifiers. Forged deep in the Black Country, the IRONHEART IRT120H valve head continues the legacy begun decades before with Laney amps such as KLIPP and AOR. 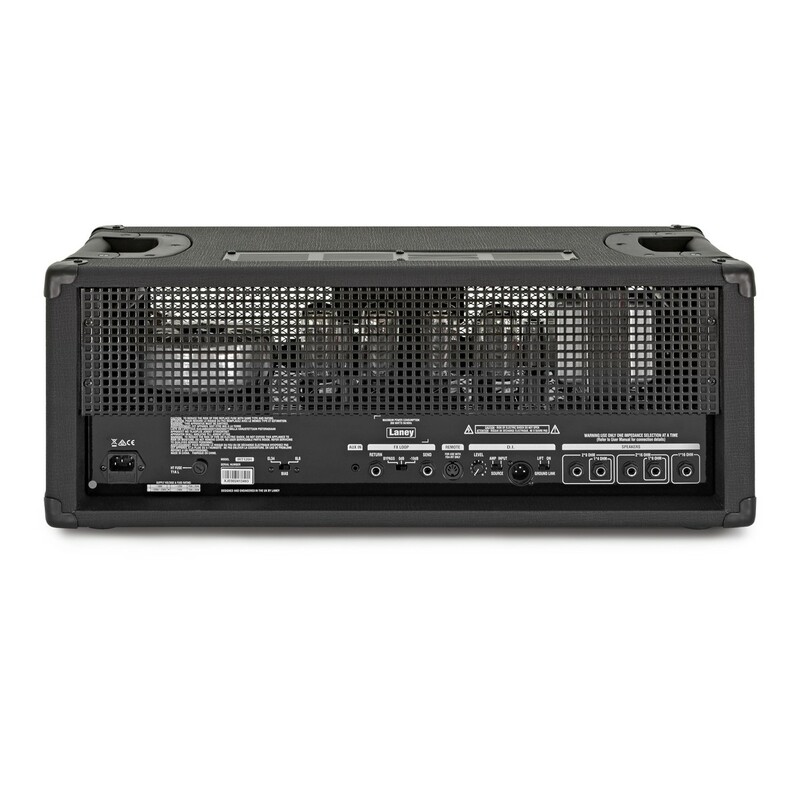 Brimming with features, amazing tone and stunning looks, the IRONHEART IRT120H is a thoroughbred metal amp on steroids. 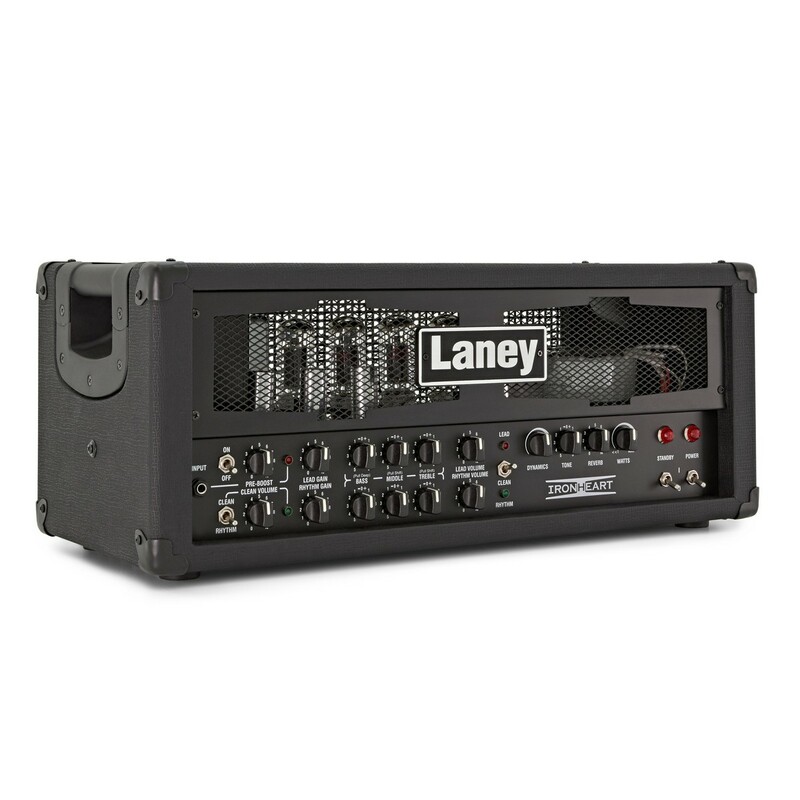 Producing 120 watts RMS of all ECC83 & 6L6 valve tone the IRT120H possesses masses of gain and like its metal relatives - such as the Laney KLIPP and the Laney AOR - hits you hard between the eyes like a power hammer from hell! The IRONHEART range all feature three channels: - Clean, Rhythm & Lead all with independent level controls. The Clean and the Rhythm channels share a 3- band EQ with pull-push shift features on each control that gives you total control over your sound allowing you to dial in that killer tone. The Lead channel has an independent 3- band EQ with pull-push shift features on each control allowing for some radical lead tones. One great feature on the IRONHEART is the Pre Boost feature. This works just like kicking in your favourite boost pedal right before your amp. It's available wherever you are on the pre amp and can be switched in or out via the supplied footswitch. A standout feature of the IRONHEART range is the WATTS control in the master section. 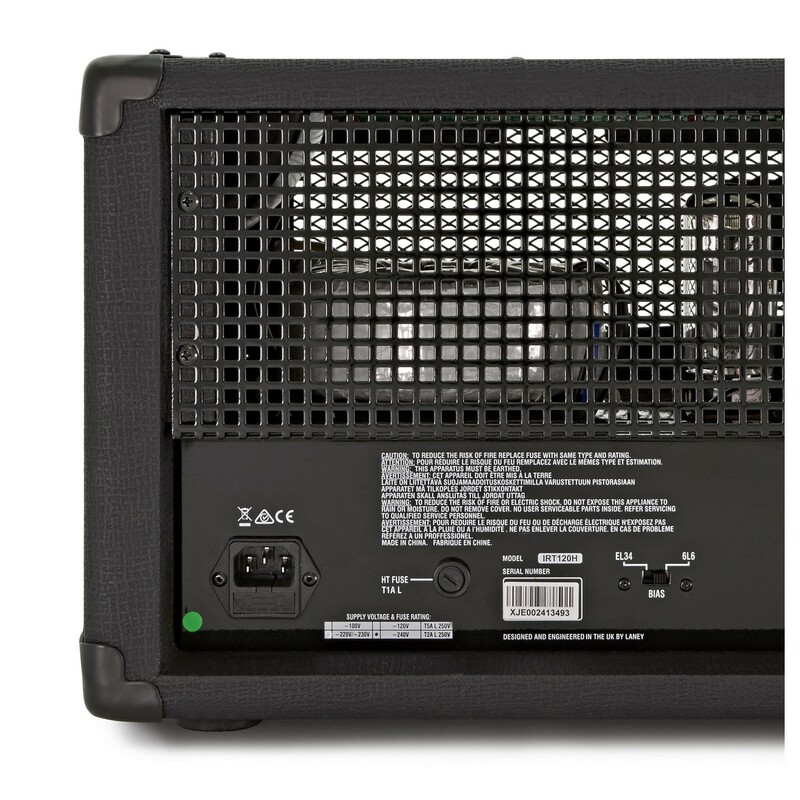 This allows you to really screw down the output of the IRONHEART's 4 x 6L6 output section, down to less than 1 watt! Great for getting the sound of a full -blown metal head at bedroom levels. Combine this with a Dynamics control, which tightens up your low end when you're playing at full power and you have a great metal tone at whatever level you decide to play at. 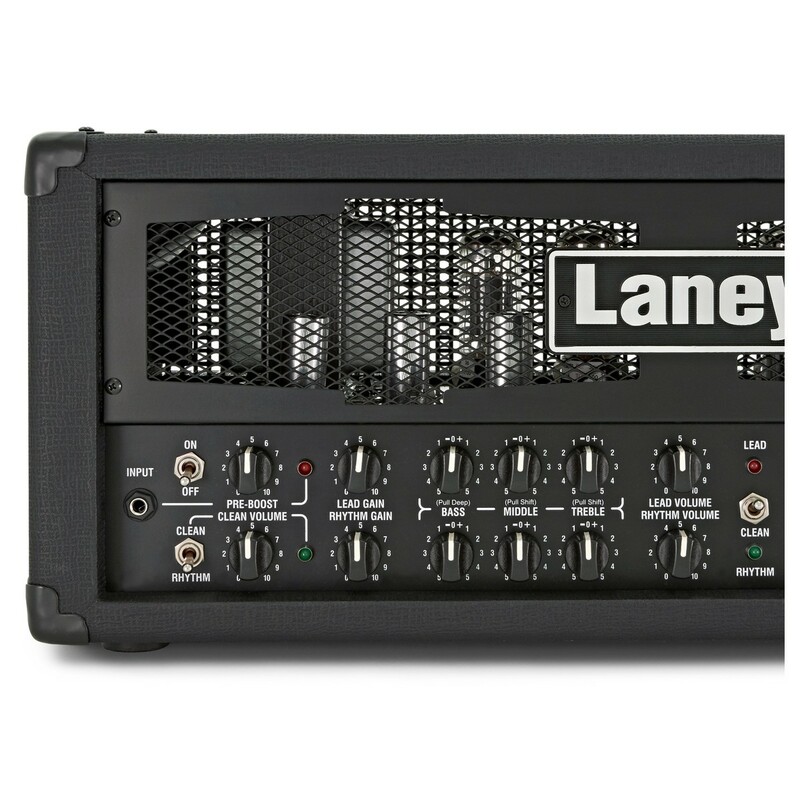 The Tone control works really effectively and allows you to make quick adjustments to your overall sound should you, for example, change guitars. The FX loop on the rear of the IRT120H has a switchable level control meaning you can easily switch your FX loop output level to match the ideal level for your effects gear. The IRONHEART features a custom designed and specifically tuned reverb allowing you to add just the right amount of reverb wash over your tone. 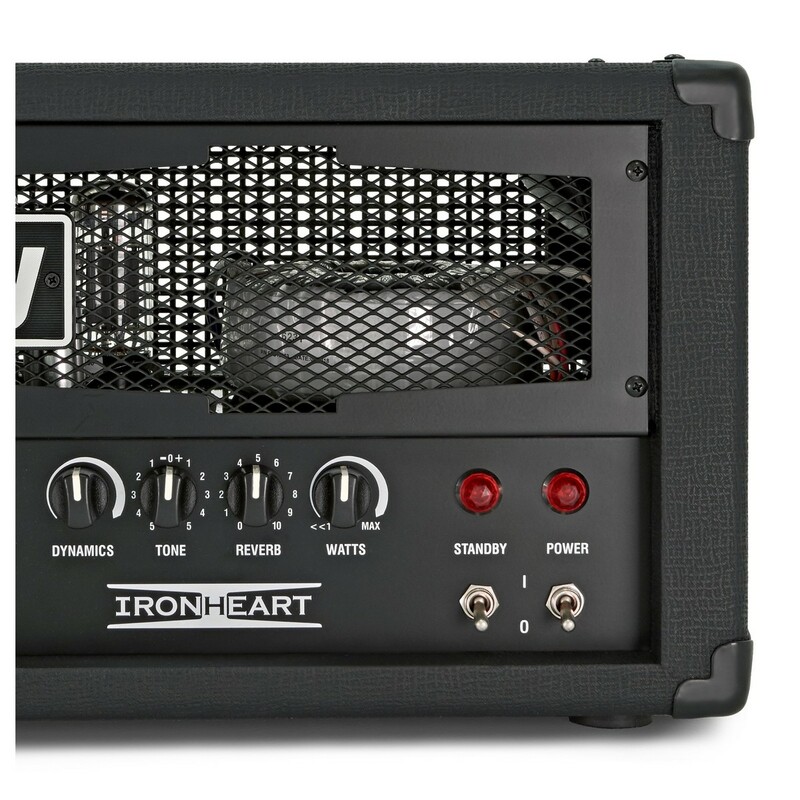 IRONHEART's simple layout means you can easily dial your perfect tone. Every IRONHEART IRT120H is supplied with dedicated footswitch, which enables you to switch channels and reverb without having to use the front panel.